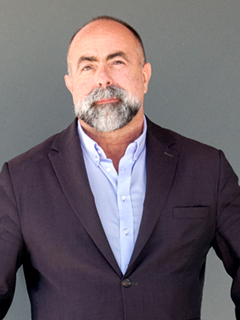 Rodolphe el-Khoury is Dean of the University of Miami School of Architecture. Before coming to UMSoA in July, 2014, he was Canada Research Chair and Director of Urban Design at the University of Toronto, Head of Architecture at California College of the Arts, and Associate Professor at Harvard Graduate School of Design. He has taught at Columbia University, Rhode Island School of Design, and Princeton University and has had Visiting Professor appointments at MIT, University of Hong Kong, and Rice University (Cullinen Visiting Chair). After earning a Bachelor of Architecture and Bachelor of Fine Arts from Rhode Island School of Design, el-Khoury obtained a Master of Science in Architecture from MIT and his Ph.D. from Princeton University. el-Khoury was trained as both a historian and a practitioner and continues to divide his time between scholarship and design. As a partner in Khoury Levit Fong (KLF), his award-winning projects include Beirut Martyr’s Square (AIA San Francisco), Stratford Market Square (Boston Society of Architecture), and the Shenzhen Museum of Contemporary Art (AIA Cleveland). His books on eighteenth-century European architecture include The Little House, An Architectural Seduction, and See Through Ledoux; Architecture Theatre, and the Pursuit of Transparency. Books on contemporary architecture and urbanism include Monolithic Architecture, Architecture in Fashion, States of Architecture in the Twenty-first Century: New Directions from the Shanghai Expo, and Figures: Essays on Contemporary Architecture. el-Khoury’s current research in architecture focuses on applications for information technology, aiming for enhanced responsiveness and sustainability in buildings and smart cities. He is also working on the application of robotics and embedded technology in architecture in projects and prototypes for interactive and responsive environments, including immersive environments and multi-sensory architecture. With the tools and resources of RAD-UM, his lab at UMSoA, he aims to put every brick online and believes that "embedded technology empowers networked environments to better address the environmental and social challenges we face today." Articles on his projects and research have appeared in the Wall Street Journal, The Globe and Mail, The Toronto Star and WIRED Magazine. He was also featured online (Gizmodo, DeZeen, Fast Company, Domus, Reuters) and on television and radio shows (CBC, Space Channel, NBC, TFO, BBC World), speaking about the Internet of Things and importance of connectivity. His work in this area is documented in The Living, Breathing, Thinking Responsive Buildings of the Future (Thames and Hudson, 2012). His 2013 TEDxToronto talk on Designing for the Internet of Things has been viewed more than 15,000 times.